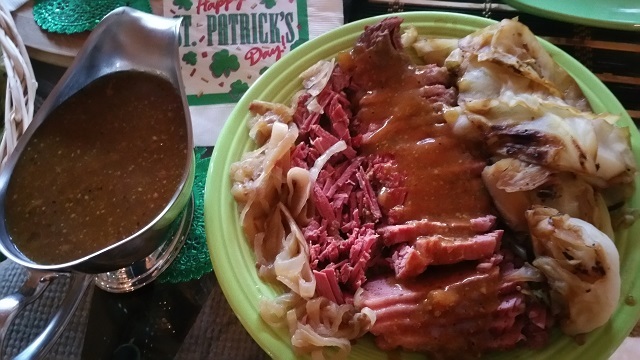 Celebrate St. Patrick's Day with good food and a good movie. Celebrate St. Patrick’s Day With A Good Movie And Good Food! “Top O’ the Mornin’ to yee”….and your response back might be….”And the rest O’ the day to yourself”! We all have Irish accents and sayings when it gets close to St. Patrick’s Day, don’t we? I have a dear friend who lives in Dublin and I call her The Irish Lass. 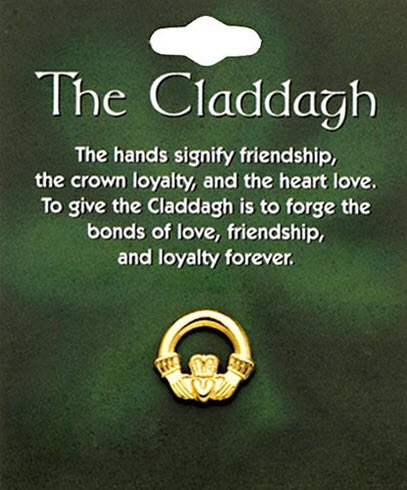 I love the hands signifying friendship, the crown loyalty…. along with the heart which represents love. Simply beautiful and when one has a friendship, it should encompass all of these. I am fortunate to have several of these friendships and I love them all dearly. 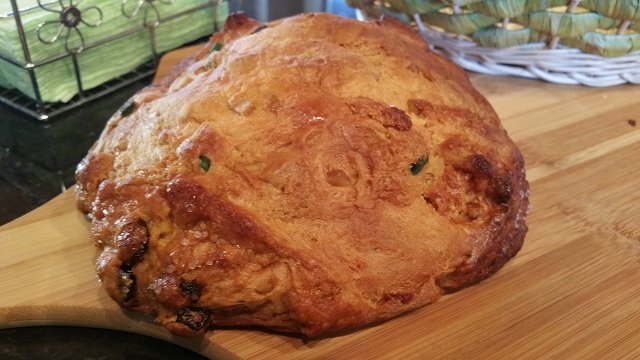 And speaking of loving dearly…what about the food that is customary for St. Patrick’s Day? The Captain and I usually prefer a quiet celebration of St. Patrick’s Day at home with a good movie and good food. And yes, it is a romantic movie. This movie is one of the most Romantic and charming movies of all time and it is set in Ireland…. 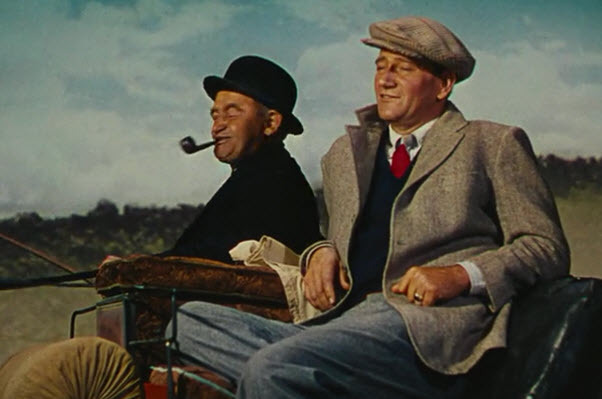 …..and for those of us of Irish heritage, this movie epitomizes all the “magic” of Ireland, including the Emerald Green door of the little white cottage (called White O’ Morn) that sits in the midst of rolling green hills and pastures. There are rambling pink roses on cobblestone walls and flowers in the flower boxes under the windows. There is tweed, plaid and Irish customs like matchmaking in the charming little village of Innisfree, where Catholics and Protestants interact politely, tolerant of their differences. And of course there is …Love….between an American man, (who could be more American than John Wayne?)….. 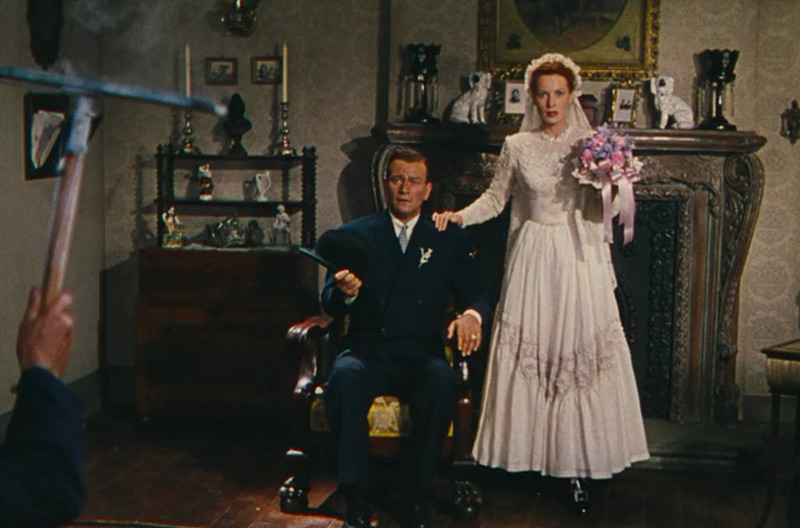 ……and the beautiful Irish lass, played by Maureen O’Hara. I also love the character Michaeleen Oge Flynn played by Barry Fitzgerald! There is a statue in Ireland representing a scene from the movie with John Wayne carrying Maureen O’Hara. This statue stands on a street corner in Cong, County Mayo, not far from many of the locations used for “The Quiet Man” . Of course there is Ashford Castle….where you can stay in beautifully appointed rooms while touring many of the same shops seen in the movie in this quaint little village. Yes, this movie is a tradition in our home on St. Patrick’s Day. 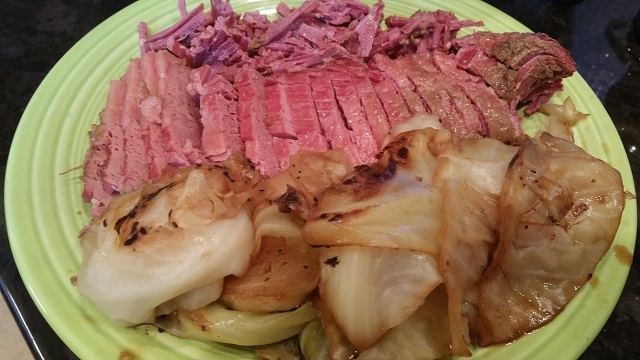 As is corned beef and cabbage and the recipe below is just a bit different than most recipes. You see, I changed it up a bit. I made my corned beef in the crock pot, but I used the juices to make a wonderful glaze for the top of the corned beef, which I served in a gravy boat at the table. Something else I did a little differently, I did not put the cabbage in the crock pot…I “fried” it on top of the stove. I placed wedges of cabbage seasoned with a little salt and lots of fresh ground black pepper in a non stick skillet with no oil…just the natural water from the cabbage and a glass lid to allow steaming. I removed the lid and “fried” the cabbage by browning a bit….such a scrumptious flavor, completely different than boiled cabbage. You can also add bits of bacon for added flavor. …..the Cucumber/Tomato Salad that my Mother made a lot while we were growing up. Recipe here. If you truly want a good beer.. a cold bottle of Guinness Beer or perhaps Irish coffee is your preference. Below is the printable recipe for Corned Beef with Brown Sugar Glaze. Blessings on however you spend your St. Patrick’s Day. Make this corned beef in a crock pot and serve the brown sugar glaze separately or on top of the corned beef. Really good and yummy!. 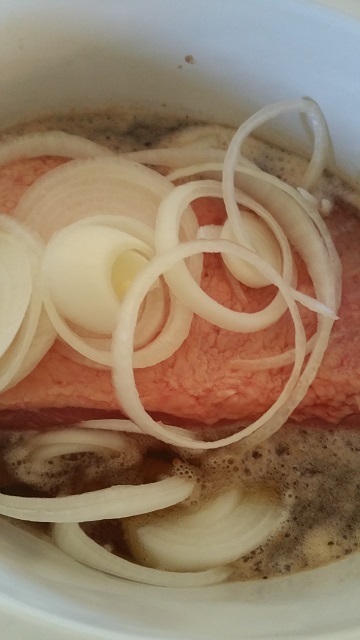 To your crockpot, add corned beef (fat side up), pickling spices, onion, garlic and the pickling liquid. Pour the 12 ounce bottle of Guinness Beer over the top, cover with the lid and cook for 4 hours on high or 8 hours on low. 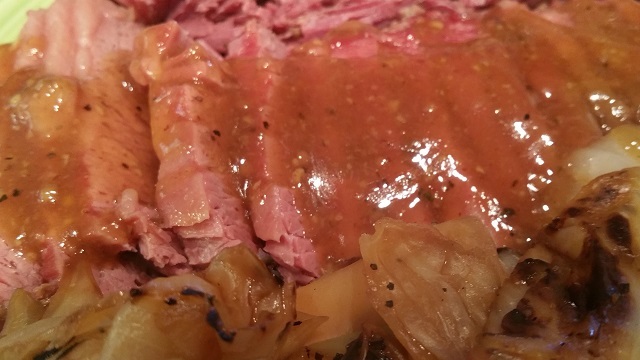 When the corned beef is done, remove from juices and let set while preparing your glaze. At this point, you can strain the solids from the juices to make a clearer glaze or you can just work with the juices as they are. Now it is time to cut off the top layer of fat on your corned beef that has been sitting....and the time to make a decision about how you want to work the glaze. I steam/fried my cabbage by cooking separately in a non stick skillet...adding a bit of water when needed to the lidded skillet. 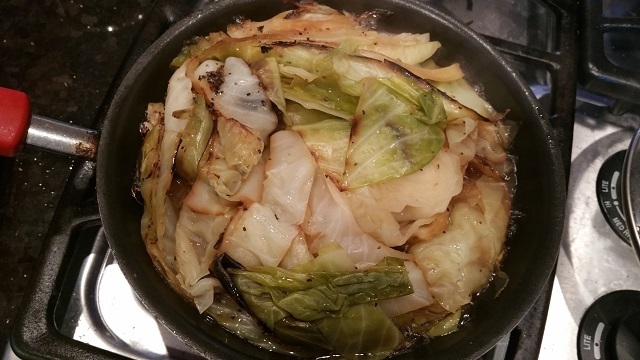 Then when the cabbage is cooked/steamed through, lightly brown in the skillet with the lid off. « St. Patrick’s Day Punch Saves A Wedding Reception! Sorry to be so late, Kari. Hubby and I have been sick with two different viruses all week. The food looks delicious and all the photos are great. Ireland is one of my favorite countries to visit. Thanks Sandy and I am so sorry to hear of your viruses. I hope you both are doing better, get plenty of rest and fluids. Something is definitely goin’ around down here too. Here I am Kari – the Irish lass herself! 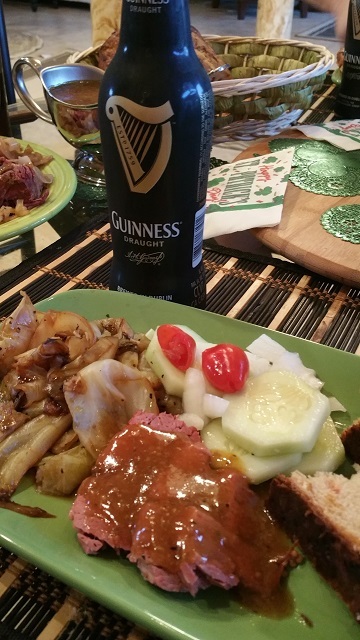 OMG I’m drooling looking at that corn beef and cabbage. The funny thing is we rarely eat it here, but I want it NOW! (Its almost midnight here!) FYI my mother always put the cabbage on the pan after boiling it with the bacon. She would fry off some onions and then add the cabbage to the pan. yum yum. 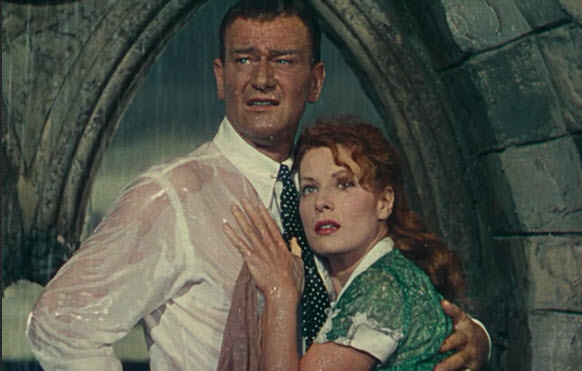 I love ‘The Quiet Man’ and think that scene where they shelter in the church door and JW takes off his jacket and puts it around her shoulders and then his shirt gets soaked and see thru – wooooooo !! There are so many scenes in that movie that make me drool, no matter how many times I watch it. In particular, when the bed falls to the floor when he tosses her in it and the friends who come early the next day see it and imagine all sorts of things. Thanks for stopping by and I will be wearin’ my cladaugh on the 17th. I’ve got our corned beef and cabbage waiting in the fridge although I prefer Baily’s Irish Cream to the Guiness. We love the hash I make with the leftovers even more than the original meal, now my mouth is watering! 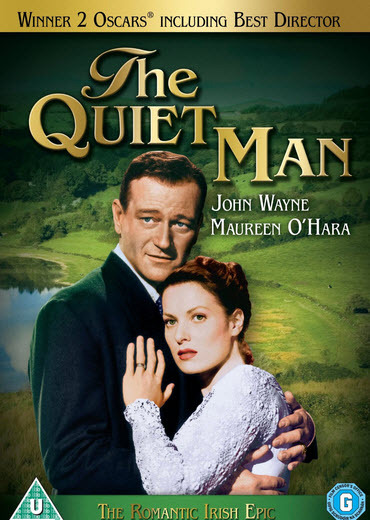 We have seen the Quiet Man several times. All that tough guy stuff is frowned upon these days but great movie. Ive also been watching Escape to the Country Ireland on You tube. I have mine in the fridge too. yummy! I know what you mean Pamela…the politically correct is now the norm. I don’t mean to push aside any kind of abuse as it is real, I speak from first hand knowledge from years ago. Escape to the country Ireland sounds wonderful.